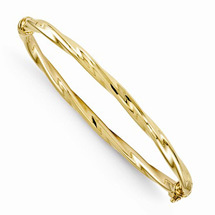 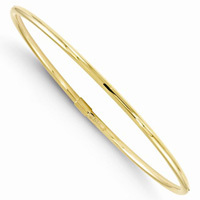 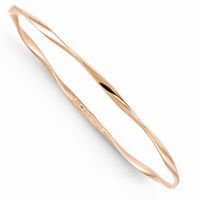 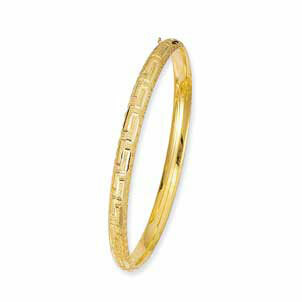 Gold Bangles are here to stay. 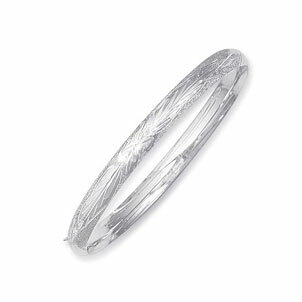 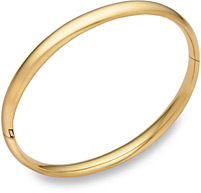 Bangle bracelets have been around for 5,000 years, with jewelry remains found from ancient Mayan, Indian, and Roman civilizations, making them not only a naturally classic and traditional piece of jewelry, but a legend of history and style. 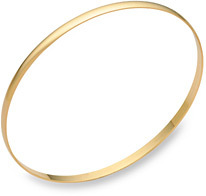 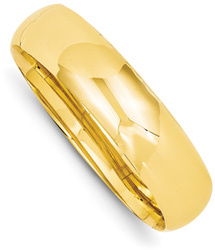 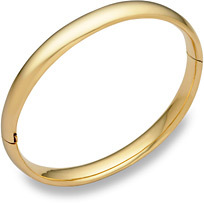 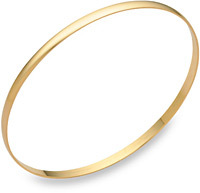 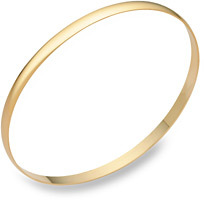 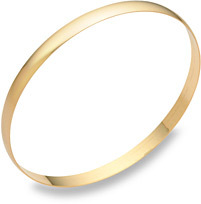 Apples of Gold Jewelry offers quality gold bangles from solid 14k gold to white gold, plain, solid slip-on bangles to hinged bangles with clasps that open wide for ease of wear and removal. 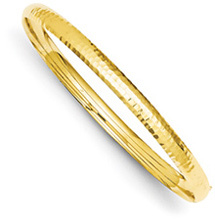 Check out our handmade flat, white gold and yellow gold bangles also which are made with substantial weight to them to create a truly quality and fashionable piece. 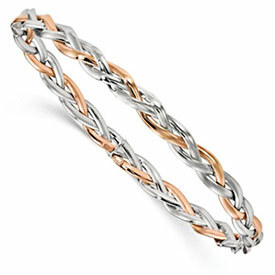 Wear them alone or in pairs. Keep them for a lifetime, they will never stop trending, not for thousands of years.